Last Friday, we brought you a story about the “intolerable oppression” within HBF that lead James Sherwood MacDonald, in his own words, to “resign.” In the letter purportedly written by MacDonald, he stated that he is seeking an “understanding of why I have allowed people to treat me as they do and what I am blind to that may be causal.” Perhaps comparing his public statements about limiting his lifestyle and his new lodging might provide some insights. From the beginning, The Elephant’s Debt has argued that James S. MacDonald’s relentless pursuit of wealth suggests that he has a character problem that has significantly impacted more than a few of his professional relationships. Many of these former colleagues have testified to their concerns both in private and in public statements, some of which have been documented on this website. In February of 2014, the elders of Harvest Bible Chapel issued an elder update hinting that it was possible that James S. MacDonald had, in fact, learned a few lessons on this matter. However, his subsequent actions seem to suggest that this possibility remains remote. Over the past three years, several stories regarding finances have been brought to our attention. While we have not published these stories, one matter in particular seems to suggest that our ongoing concerns are not misplaced. Let us begin by quoting the relevant passage from the February 2014 Elder Update, which as of this writing, remains in the public domain on Harvest’s website. Lesson #4 is about personal lifestyle choices and seeking to be free from offense according to Scripture. In recent months, Pastor James has, of his own accord, made several personal lifestyle adjustments. With ELT support, he has made these decisions to put to rest any remaining concern about his priorities. Personal sacrifices, which the MacDonalds deem small for the sake of Christ, include downsizing to a smaller home in Elgin, initiating a significant salary reduction (although unnecessary according to ECFA standards), and considering congregational norms in lifestyle decisions, such as the car they drive and how they vacation. The Elders appreciate these public confirmations of where we have always believed their heart to be. The ELT is praying that the MacDonalds’ willingness to subordinate their liberty in Christ for the sake of the gospel will become a hallmark of this church and for each of us. As you can see, James S. MacDonald, in an attempt to rehabilitate his reputation and inoculate himself against charges against his character, took a pledge to voluntarily reduce the scale of his lifestyle, including his home. As you may recall, when we wrote some years ago, James S. MacDonald was living in a substantial home located in the exclusive village of Inverness. He did in fact move out of that home, seeming to keep to his pledge. He moved into this charming home in South Elgin – at least for a time. It is unclear, at this time, whether James S. MacDonald rented or owned this property. As spacious and well-appointed as this home appears to be from the outside, it is even more lovely from the inside. This 3,828 sq. foot home, which we are sure falls well within established “congregational norms,” is even more stunning than one might imagine. Nevertheless, in fairness to James S. MacDonald, this certainly was a step down from his estate in Inverness. However, he does not appear to have remained at this address for terribly long. A little over a year ago, various individuals began to contact The Elephant’s Debt, alleging that James S. MacDonald had moved out of the above home and had taken up residence at an enormous new mansion in Elgin. A visit to the Kane Country Recorders Office appears to confirm the validity of these sources. The first document we pulled was a mortgage document executed on 11 June 2015. It revealed the address of the property. More interestingly, it revealed that $770,000 was borrowed against this property. It should be noted that James S. MacDonald’s name does not appear on this document because the property was purchased in land trust. To put it more simply, it is not unusual for individuals to purchase property through a land trust to preserve anonymity of ownership and to provide effective estate planning. So, based upon this document alone, one could not reasonably conclude that James S. MacDonald is the owner of this estate. The second document pulled from the Kane Country Recorders Office was a subsequent mortgage document executed on 25 January 2016. This document reveals that the owner of the property had borrowed $990,000. To be clear, this new mortgage included the $770,000 that was previously borrowed. So this mortgage represents an additional $220,000 being taken out to develop the property. It must be noted, again, that James S. MacDonald’s name does not appear on this document. It also must be noted that the mortgage amount does not necessarily equate to the final value of the home. The owner of this home could have paid cash outside of the mortgage to pay for some of the land and the structure. Those of you who have refinanced your home know that in order to obtain a subsequent mortgage, the previous bank must sign a mortgage release of the first mortgage. While searching for these mortgage documents, we discovered such a mortgage release document that released the Land Trust from any liability related to the first mortgage and the sum of $770,000. Here is where things become interesting. On page three of this four page document there is a “MAIL RECORDED DOCUMENTS TO:” line. The typed instructions requested that these mortgage documents be mailed to James S. MacDonald at the address of the home pictured/discussed above. * While we had several verbal and/or written accounts of this property being owned by James S. MacDonald, these documents only serve to strengthen the credibility of the sources. For purposes of estate planning, people will often continue to pay their own property taxes in their own name even if they have purchased their home in land trust. If someone is interested in the benefits of anonymity from a land trust, one must take the extra measure of having the land trust pay the property taxes to preserve the anonymity. Knowing this, we searched the tax records; and not surprisingly, we discovered that the taxes were being paid by the land trust. More importantly, we discovered a fair mount of salient information regarding the property itself. According to the tax documents, this property is 4.87 acres, which may or may not fall within established “congregational norms.” Also, according to this source, the total square footage of the “custom home” is 8,540 sq. feet. The records also indicate that there is a finished basement exceeding 2000 sq. feet, a crawl space exceeding 1500 sq. feet and a garage that is almost 2400 sq. feet. Whether these figures are a part of the 8,540 square footage total or whether they are in addition to the 8,540 sq footage total is unclear based upon the records. But, it is possible this new picture answers the question. In February 2014, the elders of Harvest Bible Chapel attempted to paint a rosy picture for the remaining members of the congregation. In this statement, they heartily endorsed James S. MacDonald and argued that he was voluntarily adjusting his “lifestyle” in a way that might become a “hallmark” of the values that Harvest holds dear. He did this in the hopes of “putting to rest any remaining concerns about his priorities.” These “sacrifices,” which the MacDonalds “deem small for the sake of Christ” and “for the sake of the Gospel,” were allegedly entirely voluntary in nature. What ought to offend the reader and the Harvest congregation the most is that James S. MacDonald attempted to reap the public relations benefit of this allegedly modest lifestyle while at the same time secretly reaping the benefits of the his material success. It is this kind of duplicity which is reeking havoc in his relationships with his former elders, his former staff members, and now his former church planting organization known as Harvest Bible Fellowship. Perhaps, just perhaps, this thirst for the best of both worlds and this kind of duplicity is one of many reasons that James S. MacDonald has been left wondering aloud in a “resignation” letter as to why people are motivated to “intolerably oppress” him. * While we have the supporting documentation for all properties discussed in this article, we are not publishing them so as to not disclose the address of James Sherwood MacDonald. This is just unreal! This man is an unbelievable, basically he lies says I’m downsizing only to sell his house rent a house while he builds a bigger house! You know right now he is Naples working on his next lifestyle change. Where is he living there? His organization is still in major debt but now he has increased his lifestyle to winter in Florida, at whoa expense? Oh yeah his tithers expense. Re: James MacDonald’s new house in Elgin….Kane Co. records also show that a contractor made a claim for a lien against the trust for services rendered & materials delivered that hadn’t been fully paid. Many people at Harvest know how that things have turned out for the Contractor. Many people also know that a fairly lengthy book could be written about James’ interactions with Contractors over the years. May God bring all into the light soon. My question though is what is envy on the part of the critic and what is a reasonable lifestyle? Who decides it? I say this for any Christian supported by others in ministry. First, the totality of conversation on this site is WAY beyond the question of how much is too much. Second, even if such a lifestyle were justifiable (and it very well maybe to some) the issue raised in this article is the fact that he LIED. He claims to have downsized all the while he was building something even bigger than his first mansion. It is rarely the crime; it’s always the coverup that gets you. James has his million plus salary living in his 5 million dolllar house overseeing his family business worth millions. He runs things his way and can afford to have all the people who hold up the biblical standards for Elders and for leadership, and those who are rufusing to continue to work under his dictatorship to leave. He continues to play the victim to his leaving the fellowship and cheating them out of millions and his minions continue to pump up his endless ego. Pray that there would be a revival in our leadership, that good men would refuse to continue to take part in his schemes and they would fight for transparency and truth and biblically correct leadership of Christ’s church. Where are the truth speakers at? Why are the Elders not leading? Google maps shows his house up for sale as of 2017 , the smaller one he moved into. There are for sale signs all over yard. Obviously….hes moving or movwd elsewhere. Liar’s and wolf’s den got much bigger. He devoured even more gullibility resulting in tithes and offerings. Grieved. Just grieved. I hope this stops soon. MacDonald: give up the games and be the model of Jesus to His Sheep that He requires of you. Dear Allie, undoubtedly we know each other. I’m so sorry for your soul-crippling pain and wanted you to know that I am praying for you. My husband and I left HBCD after nearly ten years as well. I had the privilege of serving the women and he served as a deacon; it was not an easy decision to leave that church because of those women and those families. We mainly post this today, not to divulge our experiences, but to let you know, Allie, that our hearts go out to you. But we’re also so grateful that you, like us, can see how good it is to be free—not just free from the few abusive leaders in the midst of some very special people, but free in Christ. I pray for you and for each of us that have had to reconcile in our hearts and minds what is really almost impossible to reconcile: walking so closely in fellowship with many to now realizing that if you’re no longer “all in” (for certain leaders at Harvest), you’re just out. But we know those that remain at the church have also had to try to make sense of why someone they trusted up and left. We felt it was best to leave quietly but we remember saying that we could see why the Elephant Debt website was started because you do have such a strong sense of need to warn people you love but also to protect Christ’s church. My husband and I are still sickened and saddened even today over how Jesus’ name and His Church is being defamed because of the ongoing abuses. Paul, through tears, exhorted the elders at Ephesus to “pay careful attention to the flock, in which the Holy Spirit has made you overseers, to care for the church of God which he obtained with his own blood.” (Acts 20:28) That’s why, we believe, it is so painful to go through and watch. It is so contrary to God’s heart for his Church. Is he still working in the midst? Of course, because HE is a gracious God. Period. Thank you for your wonderful words of encouragement in the Lord. I am grieved over these ongoing issues. If the church is not a place to truly be your family in the Lord, what then? My experiences are sad ones with how the leadership members treat people, not all of them. There is a lack of real genuine concern for people but they go through certain motions as they do. I found this out with some devastating experiences in my life. It is so sad when you feel abandoned by them except when they are looking for money. I don’t want to view God’s house this way and pray he will guide me to a better place. Question. Does it honor God more when we protect what’s vulnerable, meek, and weak (that is, His sheep); or is God honored more when we prop up and protect the powerful, proud, and pompous? Is God truly honored more by those who are aiding and abetting a chronic abuser and user; or is God honored more by exposing and putting a stop to this kind of ridiculous behavior? How is it not more beneficial for folks at Harvest to find fellowship elsewhere than continue to drag Christ’s name through the mud. Enough is enough. May I suggest that those in leadership at Harvest will also be held doubly accountable for their lack of courage and passivity in all of this. If only a few more men were to actually walk in the Word… and take a stand for Christ and Him alone… and give up their cozy positions of prominence, security, and preservation… would not the Church go through a refining fire in preparation for a time, soon coming, when tribulation will increase and the saints will face their stiffest test yet? My guess is God is not amused by all of this. Time will make all things plain. Very True Mike. Thank you for your words of truth. I am very disturbed by all of these posts over time in the church.It has caused me to feel many churches are run as a big business and financially profit many there. I am curious to know the pay of these many pastors and benefits they receive to send their kids to private school. Looks like the interest in HBC has dryed up. People that cared have moved on. The fact that there are so few comments may indicate the lack of interest. MacDonaled has been exposed by the former elders, leaders, and former employees at Harvest. For that the credit goes to the Elephants Debt. MacDonald is tainted goods. Just another charlatan out to fleece the church to live the high life. But there are so many of them so what can you do? There is nothing illegal in using the collection plate to finance MacDonald’s luxury life. On a final note … MacDonald was pushing the congregation to vote for Trump and I see Trump and MacDonald as not too dissimilar in that they are both very gifted grifters. I am not sure if many people know the elephants debt had new comments. I happen to look it up because I wanted to refresh my memory of what the prior issues were and why. What is sad above all that is where is the real church anymore? It is sad to see how little they really are concerned for anyone outside of the inner circle or those who have big wallets. To this day I am shocked when I called a pastor about a possible suicidal family member and what could Harvest do to help me with them. The pastor asked me if they were saved and I said no, I don’t think so. He said I can not help them. Thank you Lord Jesus that does not reflect your heart. So disappointing! Amazing to learn these inner circle people seem to be ok with their behavior as long as everyones paycheck and perks are coming in. Joe I left Harvest after the T.D. Jakes debacle but had thought James later righted the ship. Just stumbled onto this so I don’t think it’s lack of interest just complete lack of knowledge. Saddened and surprised. Actually Joe, he did not endorse either candidate. He clearly did NOT push the congregation to vote for either and pointed out he had close friends on both sides of the aisle and was aware that believers of good conscience voted for republicans and democrats. I experienced first-hand the hypocrisy of HBC. I was treated very poorly in a brief employment period with Walk in the Word. Criticisms, crudeness, inappropriate behavior and $$$$ was a big focus! tDefinitely a money train. ED of WITW was a complete control freak. Very disappointed. One topic of convo that I found appauling was getting access to a program that would allow them to see the credit card spending habits of others in order to target – new subscribers – a/k/a customers! Is that a brand new custom home or remodeled? Would love to know the address. Perhaps a local news channel could do an expose about this lucky local pastor that we have. Nice pool!!! Is that a hot tub in back??? So where did he get the money? From his books? Are speaking fees that good??? He gets a cut from the Vertical Church band but I can’t believe they are making much money if any. Using “clues” from this post and kanecountyrecorder.net, you should be able to find the information pretty easily. Not too many mortgages for $990,000, dated 2/1/2016. Based on documents, this is most likely new construction, bc first sale 2/5/2015 was for “Lot 2” in the subdivision for $770,000. 2nd mortgage document is for $990,000 and has an actual address. Google map the neighborhood/neighbors (street view) and you will not see a home at Lot 2 based on historical photos. Those are the facts and I can verify his name is on the mortgage release document as well. What we don’t know is… does he really live there? Or… Is this a home he built for his family? Is it an investment property? Did he sell his prior home? We also don’t know how he paid for it… Now, as an employee of any company (church), who owns the “intellectual rights” to the sermons, books, etc? If the work agreements all say James is free to make $ outside of being a pastor, then I guess it is his money to spend as he pleases. In some industries, this would be a form of double dipping. He seems to like the finer things in life. Maybe if he donated all his extra money that could make an impact for others. But maybe that would put him out of his comfort zone. How does one know anymore when the church is used as a cover for a money making empire? Let’s look at Joel Osteen as an example, have you seen the mansion he lives in? Interesting. He’s a Great poser! I’ve been following this debacle for a long time now, and find myself sick to my stomach. How deep the blindness has to be for those who continue to believe this man is fit to preach and teach others, and follow him or defend him. 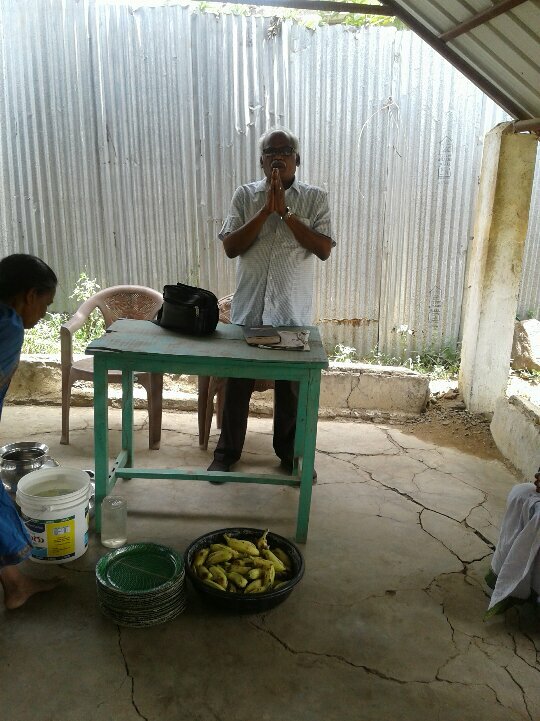 By contrast, I heard again this morning from our pastor friend in Rajanagaram, India, Pastor Gootla Nelson, who has had a leper church and some of his parishioners crawl to church as lepers are not allowed on public buses. Yet these wolves in America greedily move from mansion to mansion, gambling, and too much is never enough. basement , crawl and garage spaces are not included in square footage. Only above ground livable spaces are included in square footage. If you look at the tax bill for this property, the value of it is probably $4,010,814.00, using the tax multiplier and assessed value provided by the government. That is a huge increase over his Inverness estate. It really looks like that all King James really learned was that he could get away with his greediness. It makes me wonder if he bothered to live up to his pledge to not play poker anymore and empty his house of the poker table. James MacDonald has been money hungry for a long time, and he has repeatedly refused to repent. It is time for the body of Christ to be obedient to the Word and discipline him. James MacDonald is all about James MacDonald!!! And his staff wants to control what the congregation says and who they say it to. The Lord led me and my wife to HBC and opened our hearts to hear the teaching of James and others. We were baptized in May 2004. For that I will always be thankful to the Lord for His grace. We lived in the far SW suburban area, and a round trip drive to Rolling Meadows was approximately 120 miles. We are a couple of modest means, but our bills are paid and we are not in debt. We sometimes were unable to provide financial support as much as we would have liked to, but we both faithfully served (I was a camera operator, my wife was a greeter). We also committed to contribute $4K to the fund to help develop the Elgin campus. I took a part time job as a pizza delivery guy to fulfill our pledge. Imagine my surprise when a trusted congregant informed me about the significant waste of funds because J Mac considered himself a general contractor when Elgin was being developed. While researching this I came across TED, and found others who has voiced similar concerns. I became disillusioned with James when, during a break while meeting with the production and worship teams, I approached James to ask for prayer. I had just been diagnosed (again) with cancer, and thought I can briefly describe why I was asking for prayer. I was quite disillusioned noticing James looking at his watch while I was describing in heartfelt detail the fear I was having. It was at that moment I felt the “You are loved” statement at the end of his sermon was not much more than a meaningless tag line to close the service. I certainly wasn’t asking to be friends or to go out for dinner; I just wanted a couple minutes with the senior pastor. Perhaps I felt entitled; if so that was my mistake – I simply believed that my faithful giving, sacrifice, and the many hours of volunteering in a ministry would allow me a minute of prayer. As I read the comments that many others have posted, I was relieved that I wasn’t the only one who felt something just wasn’t right. It was shortly after this realization that I left Rolling Meadows for a HBF church in New Lenox (which later left HBF due to the TD Jakes controversy). I certainly don’t rejoice hearing about the character flaws of this man who is, without doubt, an excellent speaker. I am saddened to hear about so many others that left HBC RM, godly people whom I personally knew. These are strong brothers and sisters in Christ that help us in our early Christian walk. I am also saddened hearing the comments of some production people I had worked years with, knowing that they too also sensed something wasn’t right with this church – specifically James. These were truly dedicated people who selflessly gave of themselves and certainly did not seek any recognition. My prayer is that James will repent and return to Godly, biblical preaching. Looks like Mr. James Sherwood MacDonald certainly did make a personal lifestyle adjustment. He traded in his old Inverness digs for something much much grander! The land acreage has gone up considerably – possibly to keep out prying eyes and photographers!!! I am sure the folks in Rolling Meadows are happy to support this man of god! By the way what is he driving these days??? Thanks for confirming my theory during the past couple of years. I was spot on.